Unlike the Indy 500 where a driver could have an indefinite number of starts to win the Borg-Warner, the rookie of the year award is a one-time only deal. Announced at Monday's Indy 500 Victory Banquet, the Indy 500 Rookie of the Year award was handed out for its 59th time. 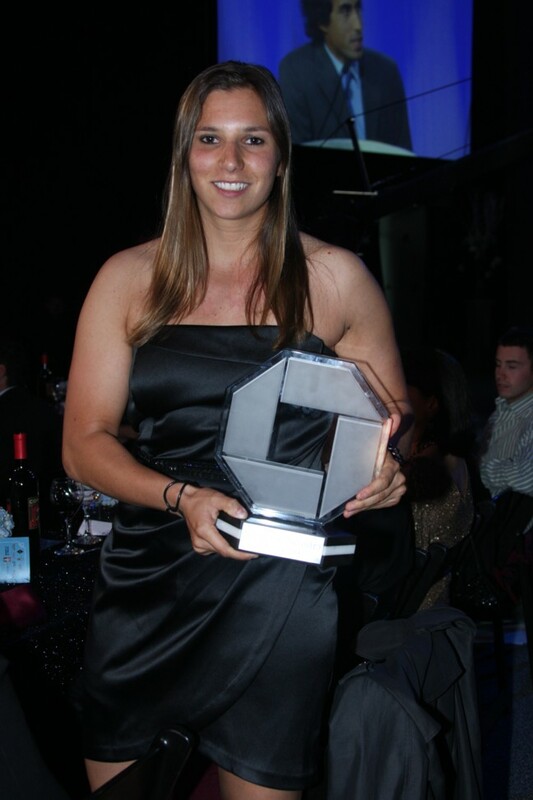 With 6 rookie candidates eligible for the 2010 glory, 21 year-old driver from Swizerland Simona de Silvestro was honoured with the trophy and the $25,000 money prize that went with the respected honour. Finishing 14th in her #78 HVM Racing/Team Stargate Worlds machine, Simona de Silvestro's was honoured for her commitment throughout the time the 15-day time IZOD IndyCar Series spent at Indianapolis Motor Speedway which included her 22nd position starting position. Only de Silvestro and Dreyer & Reinbold Racing driver Ana Beatriz succeeded in qualifying on Pole Day as rookies. Simona de Silvestro's main competition following the results of the Indy 500 was Brazilian Mario Romancini. Though Romancini's #34 car finished one spot ahead of the HVM/Team Stargate Worlds Racing car, the award does not completely depend on the final race results. With Mario Romancini just missing out on the honours, his team Conquest Racing lost the opportunity to deliver Indy freshmen to two consecutive rookie of the year awards. Last season, Conquest Racing's driver Alex Tagliani took Indy 500 Rookie of the Year after placing 11th in the 2009 race. Following the 94th Indianapolis 500, the entire 2010 rookie class provided some excellent performances. Every qualified first time driver achieved at least three-quarters of the race distance surviving laps that claimed 10 veteran drivers. It was only after this mark that one of the freshmen class of 2010 was taken out of competition. After making 159 laps around the Indianapolis Motor Speedway, Sebastian Saavedra would be the only driver officially retired from the event after his #29 Bryan Herta Autosport car met the wall. However, this race was not only Saavedra's first Indy 500 but his first IZOD IndyCar race. Credit has to be given to the #29 car driver for going almost 400 miles. In only her second IZOD IndyCar event, Ana Beatriz was indirectly involved in the dramatic final lap crash of Ryan Hunter-Reay and Mike Conway when she dived to avoid a massive, moving, on-track debris field. While sliding down to the infield, Beatriz was still running at the end finishing a hard-earned 21st in her first Indy 500. The first Swiss roookie of the year at Indy and only the second female driver ever to be rewarded with the prize (Danica Patrick became the first in 2005), de Silvestro joins an elite group of Indianapolis 500 legends including Mario Andretti, Parnelli Jones, Jackie Stewart, Rick Mears, and Juan Montoya.